Begin or expand your skills in drawing people's faces from life. 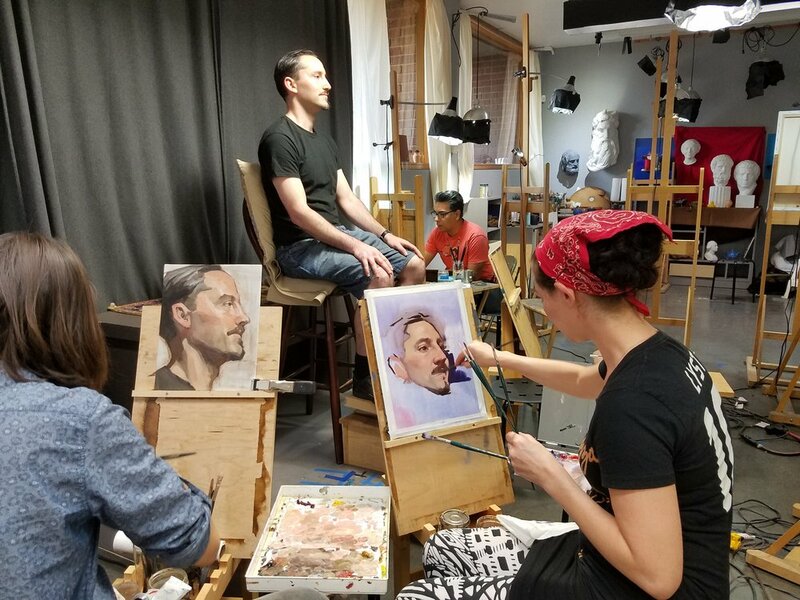 We will study and practice drawing a seated model in dramatic lighting, and learn the essential skills needed to demonstrate your ability to draw different human forms. This is highly valuable for students interested in animation, game design, or other graphic media. Class will include expert demonstrations and exercises. The 2017 Art Now Spring Workshop Series offers Santa Clara County high school students the opportunity to practice and build their skills in the NUMU Atelier, a classical drawing and painting studio led by Atelier Director Gabriel Coke. The series will culminate in an Atelier Open House and life drawing session, as well as a Portfolio Review and Development Day offered by California College of the Arts.